If you're looking to learn more about diet, primitive reflexes, or EMFs, here's a few books and movies that we recommend. Autism, A Path to Healing. 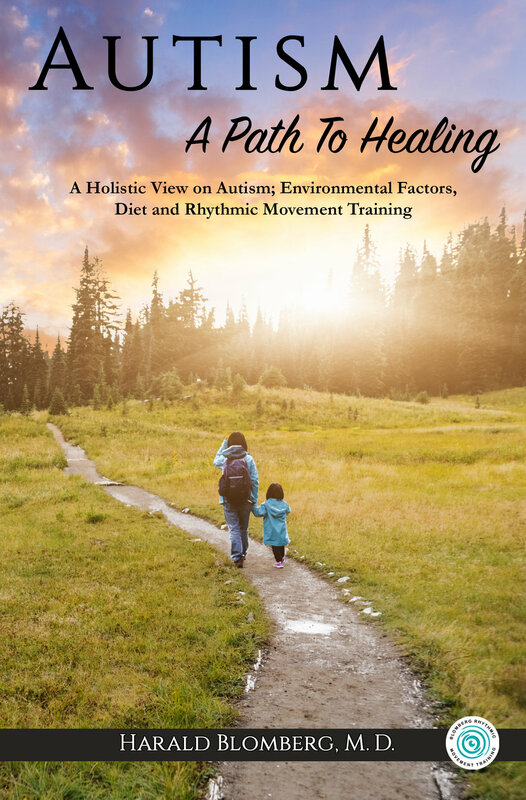 This is Harald Blomberg's book on diet, primitive reflexes, and autism. For parents and therapists of autistic children, it provides wonderful information on improving the quality of life for autistic children. You can purchase this book here, in our shop. The Rhythmic Movement Method describes the basics of Blomberg RMT. If you're curious about the BRMT program, this book is a very helpful place to start. Renowned neurologist David Perlmutter has seen almost every neurological condition in the book, from dementia, Alzheimer's, and ADHD to chronic headaches, anxiety, and depression. This New York Times Best Seller discusses his fascinating advice for using diet to protect your brain. Why are diseases and obesity increasing so quickly, despite our best efforts to get healthy? Dr. Davis provides some insight into what's really making us sick, and the simple dietary steps we can take to lose weight and take control of our health. This fascinating film shines a light on electromagnetic frequencies, including the frequencies of the earth and the human body. How is the rapidly growing presence of electrosmog affecting our world and our health? View this film for free on YouTube here. A Teacher's Window into the Child's Mind. Sally Goddard describes her non-invasive approach to assessing and improving learning difficulties - and she starts with primitive reflexes. This ground-breaking book is perfect for parents and teachers to learn about reflexes and their relationship with learning. Purchase Sally Goddard's book on Amazon or from Fern Ridge Press here.